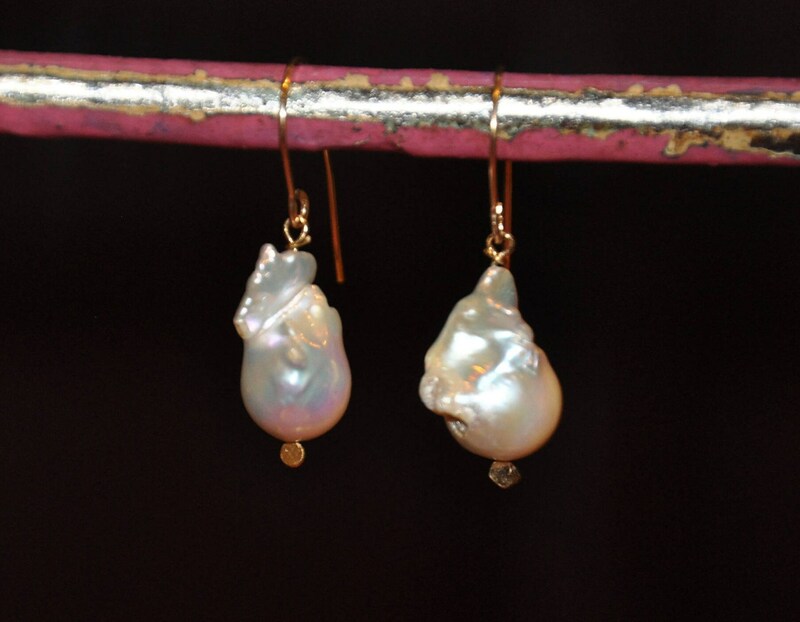 These dangle drops have an elegant swing, and yet maintain a simple look. 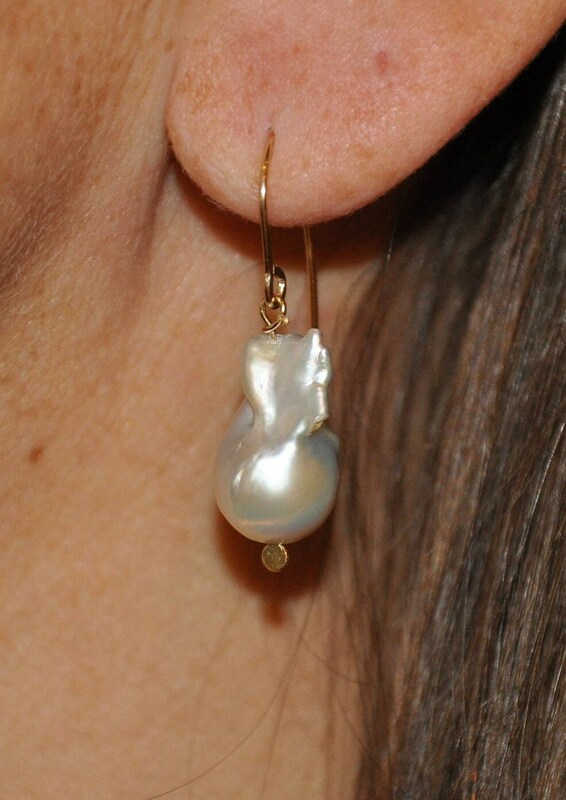 They feature beautiful, silver-grey freshwater baroque pearls which can take you from day to night, in shorts or a cocktail dress. 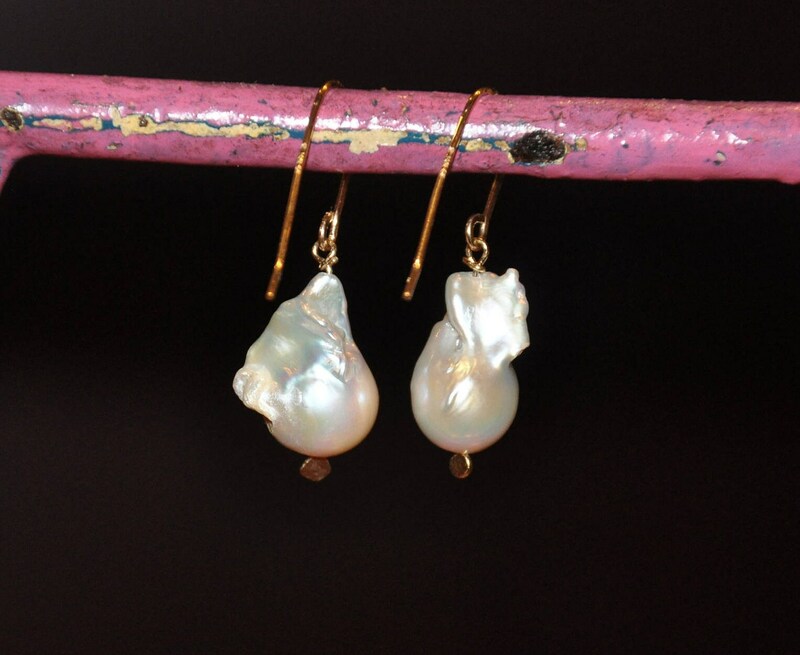 They are made with freshwater pearls which measure 13mm x 10mm. The components are 14k-gold-filled wires, and all earrings come with two pairs of rubber safety backs.